You can’t smell it, taste it or see it, but it’s out there: carbon monoxide is the number one cause of accidental poisonings in the United States. In California, all residential properties with a fossil fuel burning heater, fireplace or attached garage are required to have a carbon monoxide detector installed. Make sure your home and your family are covered! 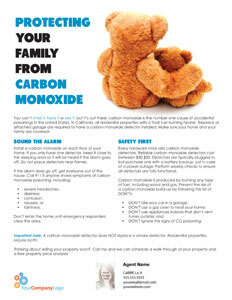 Install a carbon monoxide on each floor of your home. If you only have one detector, keep it close to the sleeping area so it will be heard if the alarm goes off. Do not place detectors near flames. Don’t enter the home until emergency responders clear the area. Every hardware store sells carbon monoxide detectors. Reliable carbon monoxide detectors cost between $30-$50. Detectors are typically plugged in, but purchase one with a battery backup, just in case of a power outage. Perform weekly checks to ensure all detectors are fully functional. 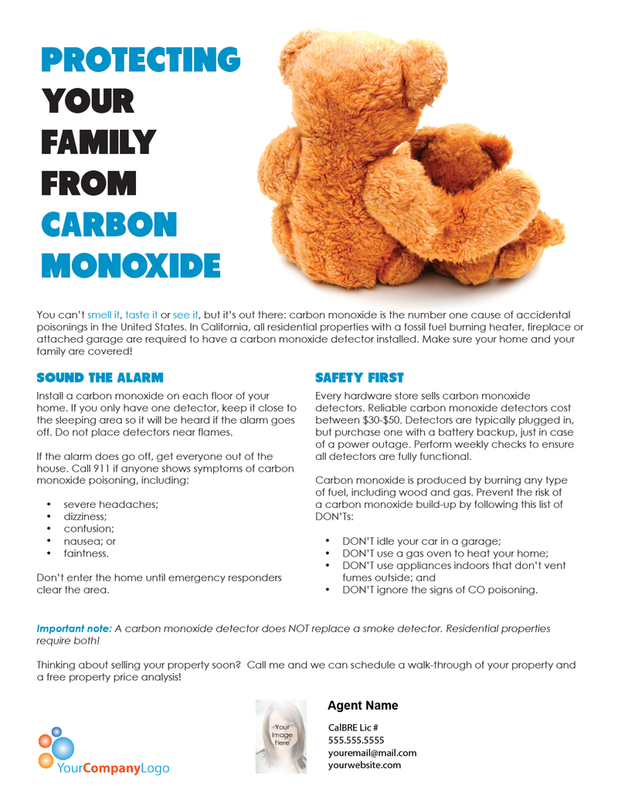 DON’T ignore the signs of CO poisoning. Important note: A carbon monoxide detector does NOT replace a smoke detector. Residential properties require both! Thinking about selling your property soon? Call me and we can schedule a walk-through of your property and a free property price analysis!